It's a good day to create! You know when you have a room in your home that is your least favorite and you just deal with it and don’t remodel it? This is how I felt about one of my bathrooms. It’s a small bathroom and for me personally the smaller rooms are the ones I don’t seem to get around to decorating. It was outdated and my taste in home decor has changed so much since I decorated it about 7 years ago. Well, I decided to give it a quick refresh (in a weekend!) 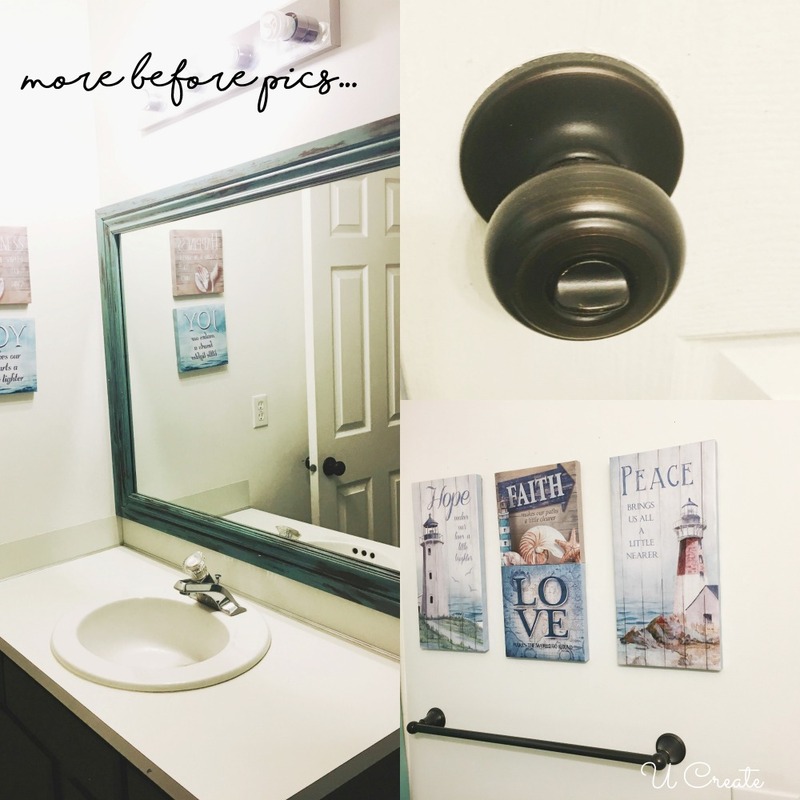 and today I’m showing you a few things you can do to give a bathroom a whole new look without breaking the bank! Are you ready for the before pics? 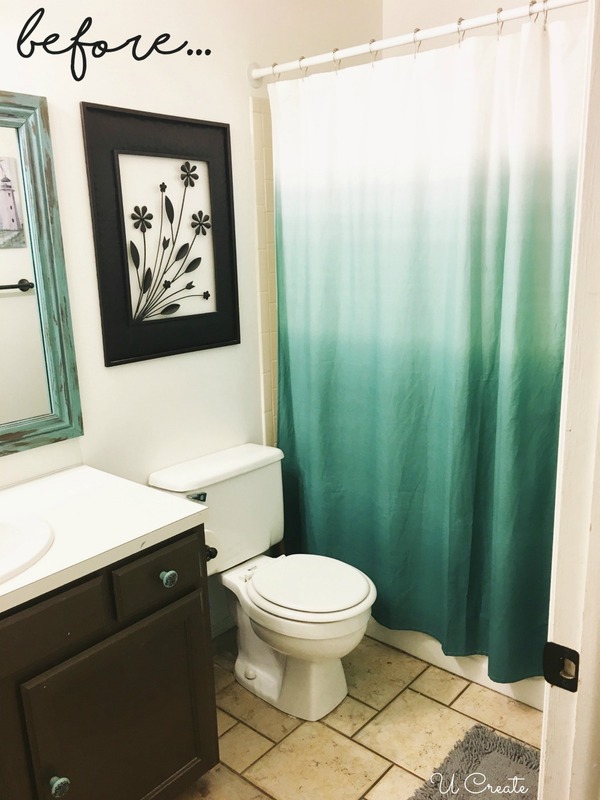 The only thing I like about this bathroom is the shower curtain I purchased a couple of months ago. So I decided to keep that in my new bathroom decor. I donated the metal floral decor above the toilet along with the canvases to our local thrift store. 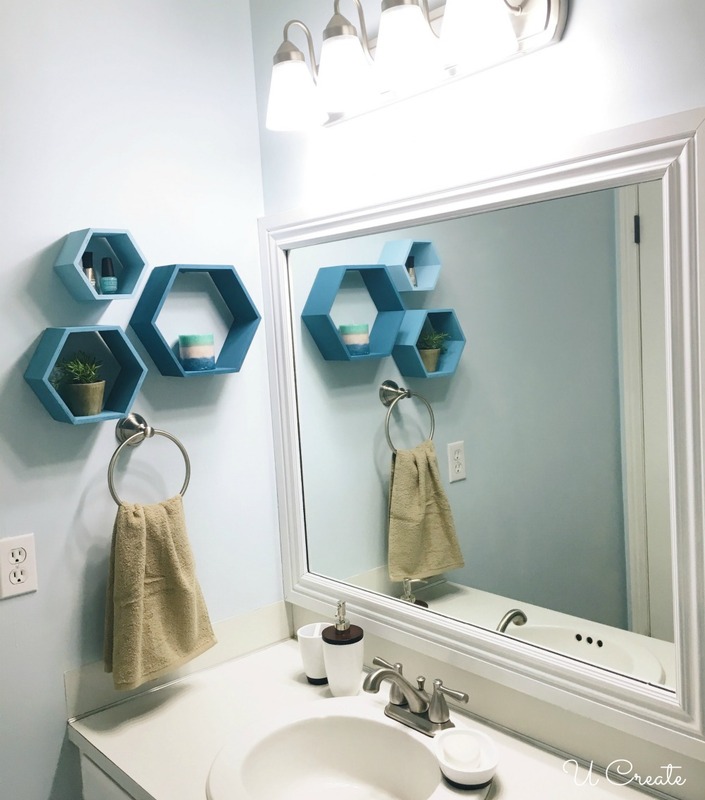 Another thing that kept bugging me was that the sink and light fixtures didn’t match the towel bar and door knob – so I knew I wanted to go with a satin or brushed silver look! 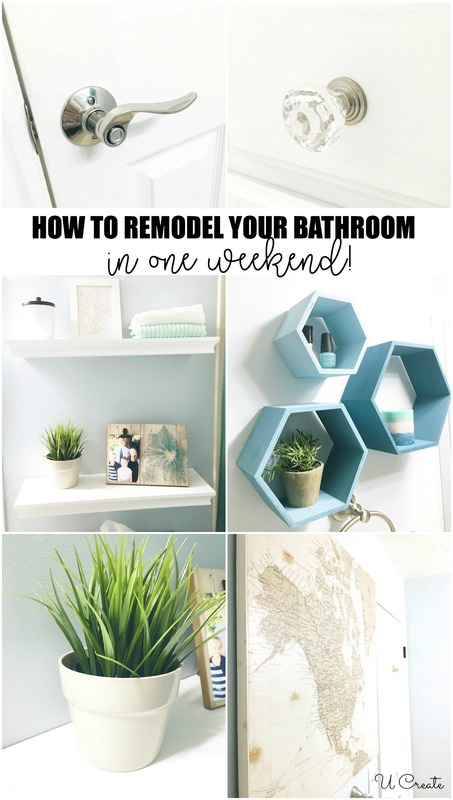 These are the simple steps you can take to remodel a bathroom in one weekend or less! 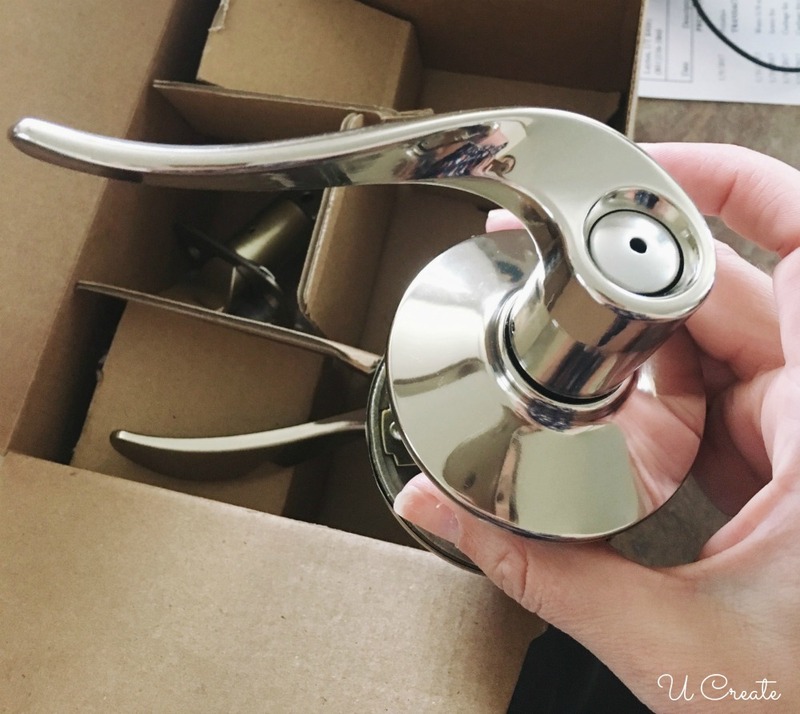 The first thing my husband and I did was replace the door knob with this pretty Schlage door lever. It only took a few minutes to change the hardware and we couldn’t believe the difference this alone made. 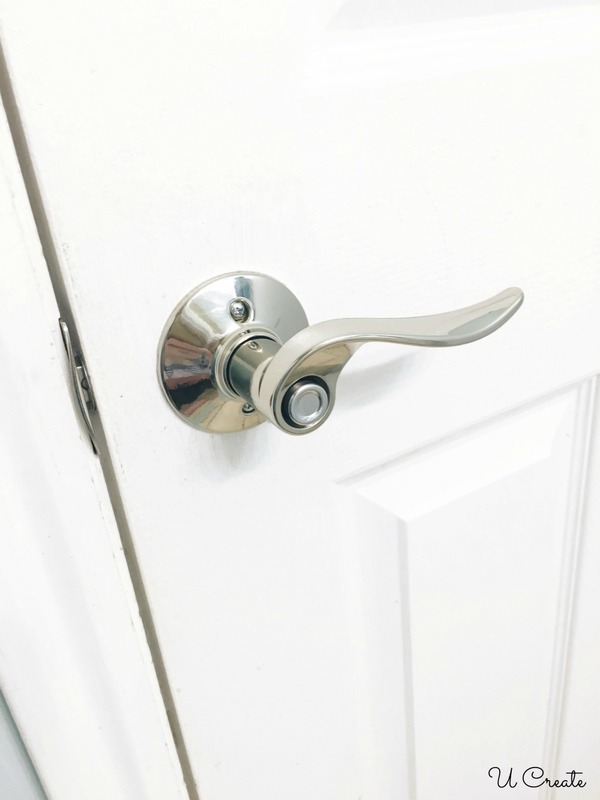 We used the Schlage Sacramento lever in Polished Nickel. Available at Lowe’s. 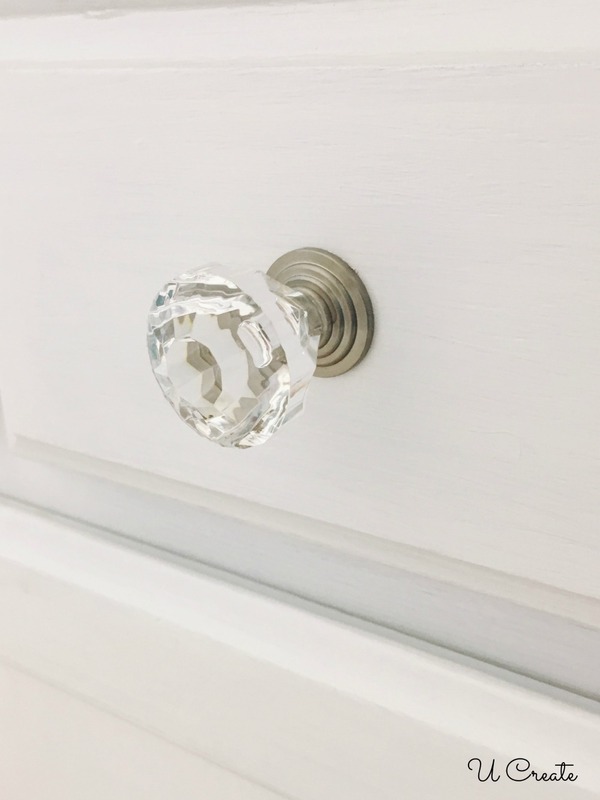 While I was at Lowe’s, I also found these beautiful crystal knobs that I put on my newly painted, white cabinets. They look brand new and so much better than the previous dark brown color. 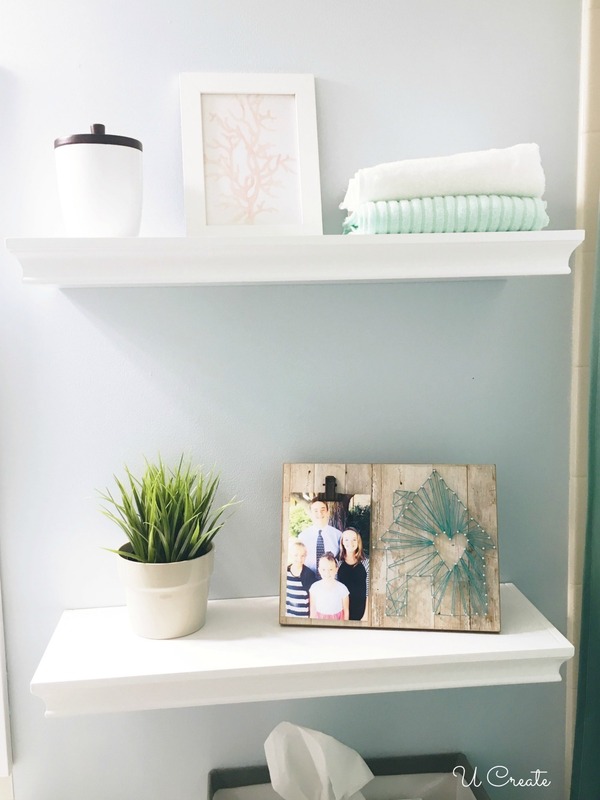 Next, we added floating shelves and some simple accessories like towels, cotton balls, picture frames, and a small plant. Really makes this small space feel cozy. 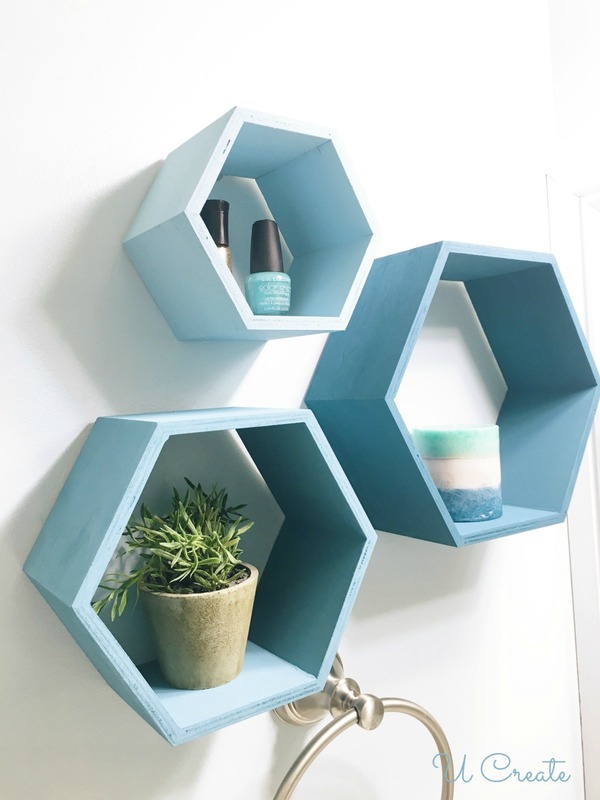 I decided to raid my craft room for any accessories and I found these wooden hexagons that have been in the closet for almost one year. I grabbed my acrylic paints and gave them an ombre blue look! I was excited to finally put these fun shelves to use! 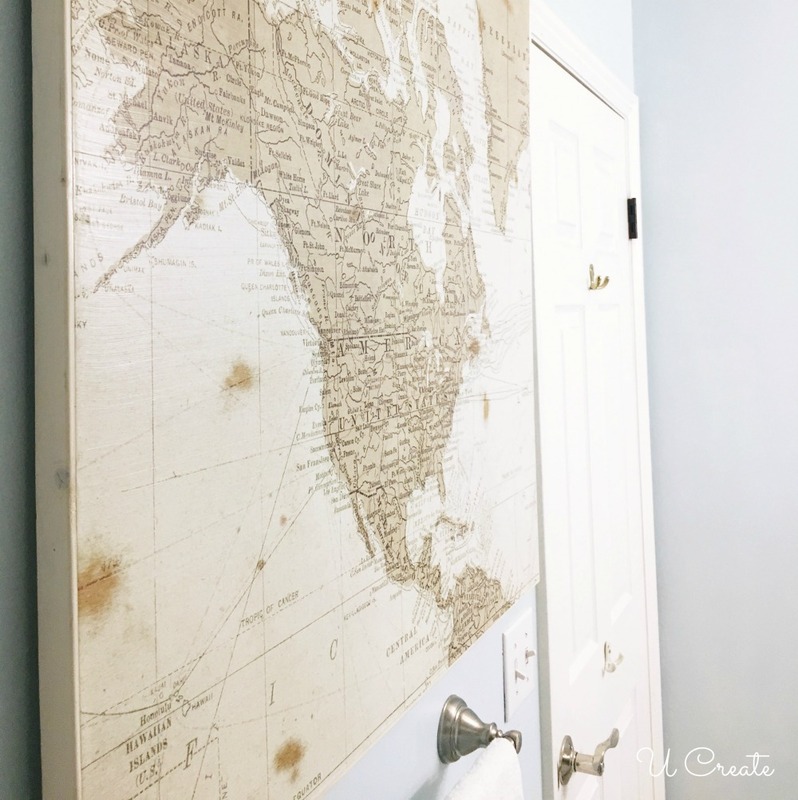 Oh, and I found this awesome map art at Lowe’s for only $30 and knew it had to go above the towel bar. Oh, and I’m glad I didn’t change the shower curtain because I love how it looks in the bathroom! So you know that room that keeps getting ignored because you don’t take the time to tackle it? 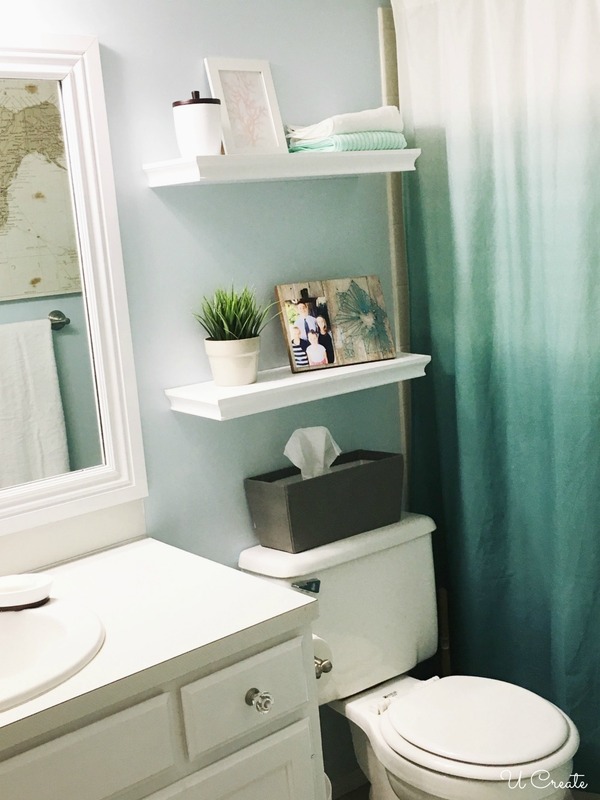 Jump in and do a few simple things like adding to door hardware, a fresh coat of paint, and adding cozy accessories (that you might already have lying around your house)! 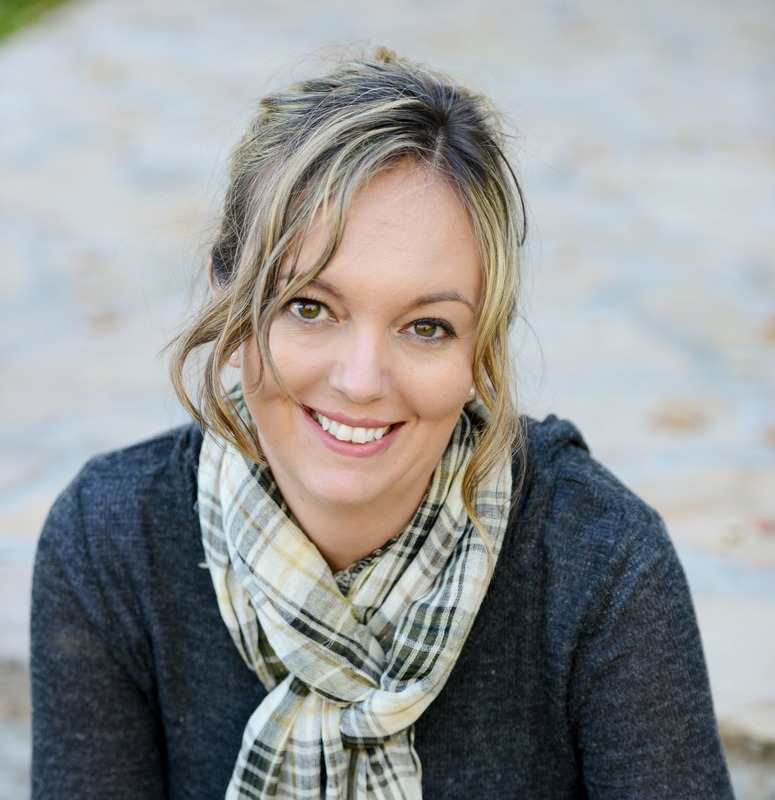 You can accomplish this in one day or a weekend – it might be easier than you think! From 2/15/17-3/13/17, get 20% off your Schlage interior hardware purchase at Lowes online or in store! This is a sponsored conversation written by me on behalf of SCHLAGE. The opinions and text are all mine.